We build simple, yet incredibly powerful solutions for DIY - Construction sector using hardware + Extended Reality that enable users to easily measure, design and change their environment. Seeing Cubit was one of those moments at the show where I felt my heart swell. This is an extraordinary piece of technology that solves real problems for real people. —and that’s a good thing. 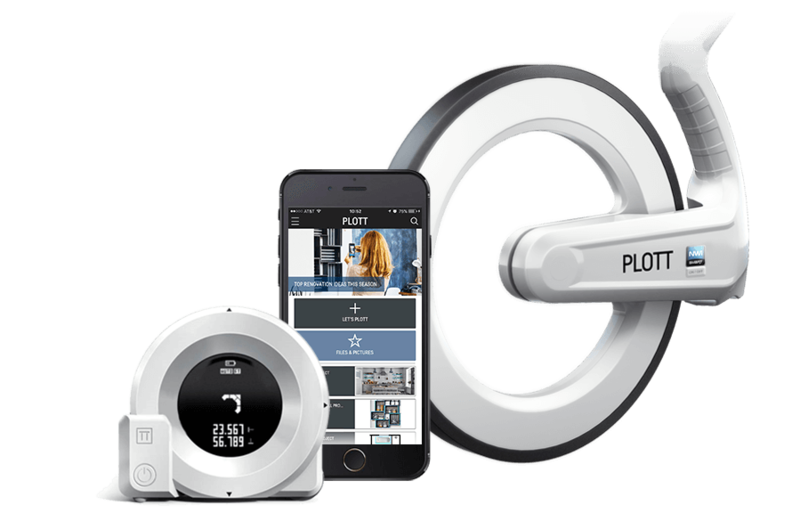 Plott is translating the freedom of the IoT to devices that simplify complicated tasks... Help you measure, plan and execute your design perfectly. Spend less time thinking and more time creating. Take your ideas from your head and map it out on your phone using the Plott App then let cubit do the thinking. Cubit will do the measuring for you so you can focus on your creativity! Sorry, your browser doesn't support embedded videos, but don't worry, you can Download it! and watch it with your favorite video player! Plott allows you to design virtually so you can change your design easily without marking up your wall. The Plott brings your design to life by guiding you to points like a GPS so you can make the change in the real world without the need for measurements or use of any math. This reduces risk of error and the time spent on DIY projects. We combine real and virtual worlds to create our extended reality, XR, platform. Use VR and AR to edit and perfect your ideas in our app, then bring designs to the real world using our tools. Using our XR platform enables you to design then physically build a project in the real world with ease. 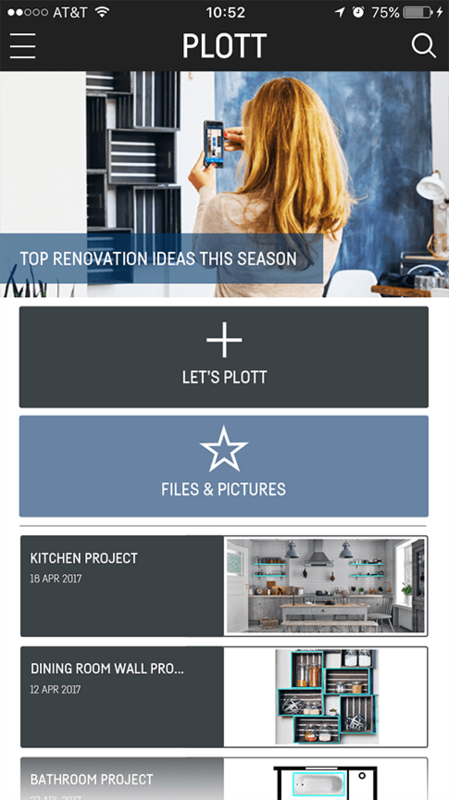 Download and share projects with the Plott community. Whether you build a project yourself, download it from a product, or is shared with you. weekend project or a construction build we can Create It Together. © Plott All rights reserved.